The Golden State Warriors’ high powered offensive attack led to the first NBA Finals sweep since 2007 and back to back championships. All season long, the Golden State Warriors had their eye on the prize… repeating as NBA Finals Champions. Golden State did, and its offensive brilliance allowed for this to happen. The Warriors finished the playoffs with the highest rated offense, averaging over 110 points per game, which translated to scoring 1.029 points per possession while shooting 48%, and scoring 46.2% of the time. This post will show you how the Warriors dominated in the half court, transition, and made the right adjustments to become the 2018 NBA Champs. Golden State finished the playoffs with the 2nd overall rated half court offense. This translates to scoring .993 points per possession, shooting 46.5% from the field, and scoring at least one point 44.8 % of the time. Against Cleveland, the Warriors were able to score nearly at will on the Cavs, averaging 116 points per game. Golden State dominated in the half court by staying true to who they are, relying on Steph Curry, Kevin Durant, Klay Thompson and Draymond Green to make plays. Playmaking and ball movement are critical components of the GSW offense. The Warriors averaged 297 passes and 26 assists per games. Against Cleveland, The Warriors finished with a total of 111 assists. Against the Cavs, Golden State ran sets with multiple different options and looks. The Warriors offense is effective because Durant, Curry, Thompson and Green can play interchangeable roles and occupy different spots on the floor. The Warriors opened up Game 4 running one of their elbow staggers. Elbow Stagger Options is an action that sets up catch/shoot, sneak drives, cutting baskets, slips and quick punch opportunities. Roughly 20% of the time, Golden State operates in transition and early offense. The Warriors finished the playoffs with a top 3 rated transition offense. The Warriors scored 1.177 points per transition possession, shot 55.4%, and scored 52.9% of the time in transition. The Warriors dominated the pace of play in Games 3 and 4 against the Cavs by utilizing early player movement and drag screens. What makes the Golden State so effective is that Curry and Thompson are phenomenal at staying on the move, always hunting a catch and shoot look. Their teammates know this and look to find them at every opportunity. In game adjustments are critical to winning games, especially in a seven game series. The Cavaliers relied on switching screens defensively. In Games 3 and 4, the Warriors started slipping screens more often, and that resulted in paint points. Draymond Green was very effective at slipping to the middle of the floor and making plays for other people. 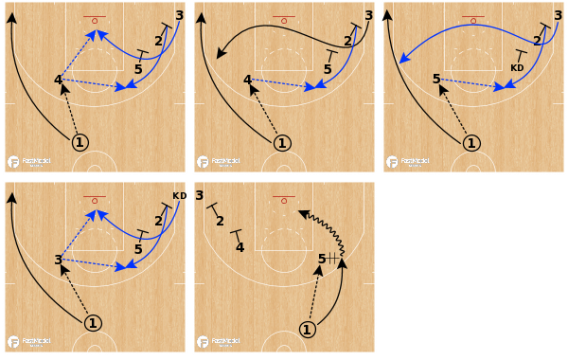 Green was able to set up lobs, weak side handoffs, and kicks for open 3’s. 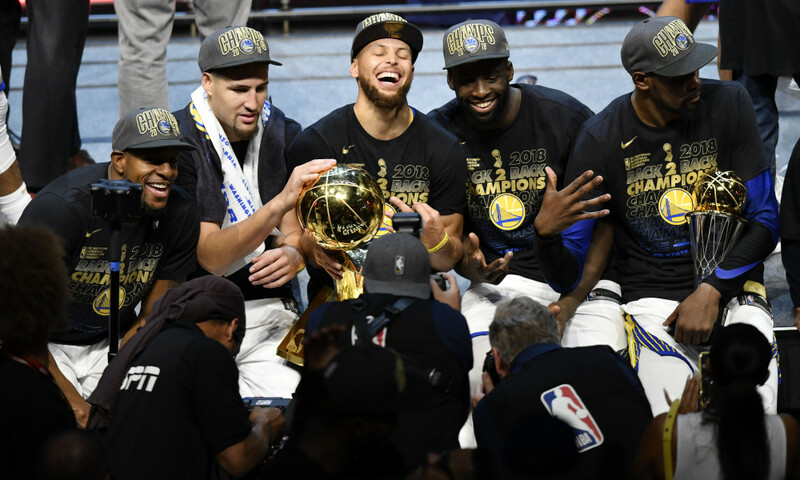 In the end, elite offense and superstar players was more than enough to earn the Golden State Warriors their third NBA title in four years. Seeing as the core four players are all 30 and under, and head coach Steve Kerr is looking healthy as well, there are no signs of these Warriors slowing down in years to come.